You Are The Roots: i'm co-hosting the followers to friends blog party hop today! 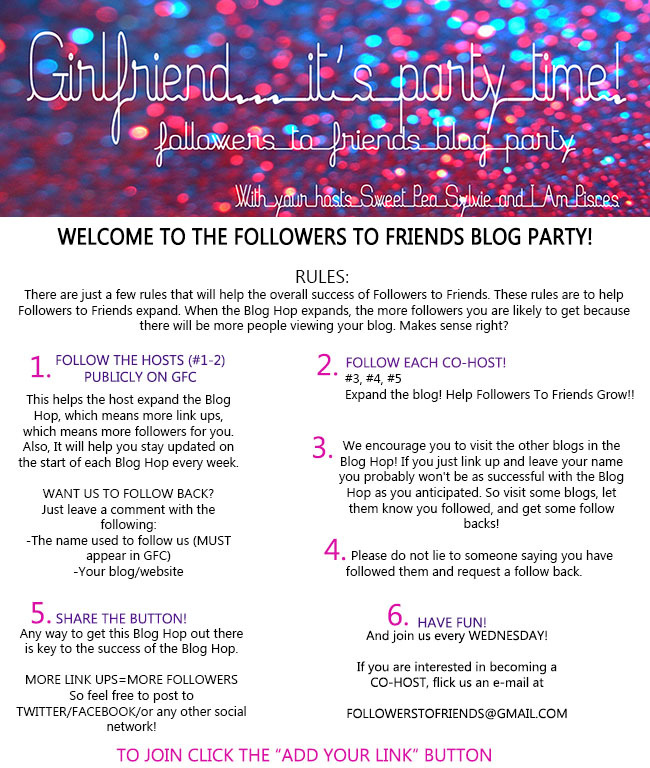 i'm co-hosting the followers to friends blog party hop today! You have a lovely blog! I am following you via the Followers to Friends blog hop! :)plz follow me back! Hi! I just found you blog through the Followers to Friends blog party and am following you. I would love a follow back! Following your lovely blog now via the Followers to friends blog party! Would love you to follow me back! Looking forward to following along with your adorable blog! Thanks for hosting the blog hop and I'm your newest follower. Happy Holidays!! Thanks for hosting the blog hop and Happy Holidays! !